The whole sparkling new year is waiting, full of potential and promise… and yet, deep in my soul, I feel let down. What ever happened to that sense of anything is possible? What ever happened to goals and hope and motivation? I think the winter blues are completely normal. Winter brings colder weather, less daylight, and a long stretch in which the only holidays (Groundhog Day, President’s Day, etc.) aren’t usually cause for the same kind of celebration as the ones that passed in December. So how do we move past this? How do we effect real change in our attitudes and our spirits? Ask God for help. Turning to God first is always the best approach. It’s okay to pray for ourselves. Just like we’re supposed to fix our own oxygen masks in an airplane emergency before we help the person beside us, we cannot ignore our own needs now. 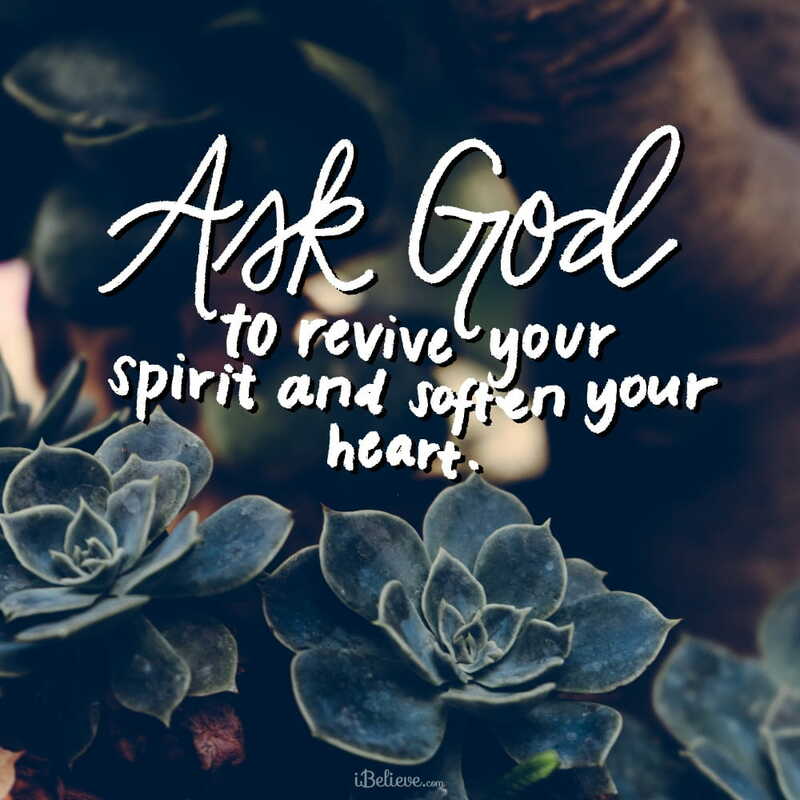 Every morning, ask God to revive your spirit and soften your heart. Surround yourself with people who make you feel good. Your instinct might be to withdraw from people, I’ve discovered that the best healing takes place when I spent time with people who get me… friends who admire my quirkiness, family that accepts me unconditionally, and spiritual mentors. The most beneficial moments are often the ones that aren’t “about” anything, but simply time spent laughing and talking about the minutia of our lives. Pay attention to what you feed your mind. Just like eating junk food results in feeling lethargic and uncomfortable (no guilt implied—I do it all the time), we won’t feel healthy when we feast on junk mentally. I’m not saying you can’t watch a mindless movie or listen to popular music. But when you are down, you’ll feel better if you fill your mind with good things. Read the Bible, start a new Bible study, slowly read through an inspirational book (fiction or nonfiction), listen to praise music, write in your gratitude journal, or learn about something new. Do something for someone else. There is a time for recharging, for nursing our wounds and making ourselves stronger. But there is nothing that surpasses the feeling of helping another person. Maybe that’s in the form of a financial gift (even a small one), but more likely you’ll be rejuvenated by giving of yourself. Stop by to see that relative in the nursing home. Visit the friend from church who’s recovering from surgery. Take a meal to an overwhelmed mom. Shovel a sidewalk for an elderly neighbor. Clean out your spouse’s car. Write a note to someone who is lonely. There are countless ways to improve someone else’s day in a matter of minutes. When you let someone know they are not alone, you, too, get the pleasure of someone’s company. Dear Lord, I need Your help. There are bigger and more critical needs out there, but in order for me to play the role you’ve given me, I need to be emotionally healthy. Thank You for the people who love me, who make me feel better just by being with me. Help me find time to be with those who make my soul sing, and thank you for the healing and enjoyment that brings. Give me wisdom about what I consume mentally and emotionally, and help me make wise choices for my health. Help me let go of the physical and mental clutter that drags me down, and help me to delight in the little things and find joy in the things that I do. But don’t stop there. Show me where else I can help bring joy—point me towards people whose lives I can improve in any small way. Use me, Lord, because that’s often where I find fulfillment, when I’m living out Your purposes. And through it all, help me to see You, to turn to You, to lean on You, and to give thanks to You. Because You are the giver of life, the hope of eternity, and the author of joy. Amen. Editor’s Note: Content taken from “6 Ways to Combat the Winter Blues” by Kelly O’Dell Stanley. You can read that piece in full here. All rights reserved.